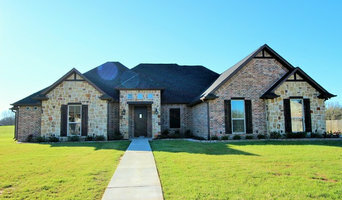 Hunt Custom Homes Inc is known for its quality, design, and innovation but more importantly for the high level of personal service, experience and expertise they provide the families considering building or purchasing a new custom home in the Tyler area. The team at Hunt Custom Homes Inc collaborates with every client to understand their vision and each home reflects the lifestyle and tastes of its owner. 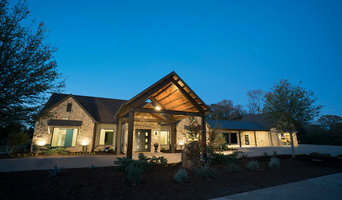 Hunt Custom Homes Inc offers high performance home designs that are as unique and luxurious as they are energy efficient. Landvisions aims towards eliminating the tasks of dividing your project between traditional discipline of architect and contractor. The many advantages relating to the Design / Build contract delivery model can be shown as a promising experience and solution for most exterior development projects. It brings team work into focus and the common goals pursuant to every project, effective communication. Our vision is to uphold and continue a high standard in the design and construction of residential and commercial landscapes for our families and communities to enjoy. Our values are embedded as a Team approach to vision, integrity, and purpose in connecting people to nature and their communities. With our focus on collaborative design, we offer a sustainable “process” in guiding the framework surrounding the completion of Commercial, Development, and Residential Landscape Construction projects. Our approach to every project is one of flexibility, sustainability, and the internal purpose driven goal of creating distinct and enduring landscapes that enhance our outdoor interactive experiences. Carlton Edwards, CGB of Carlton Edwards Builder & Designer, LLC, began a career in financial services in 1976, eventually serving as a senior vice-president for one of the largest banks in America. All the while he was dreaming of designing and building custom homes. He built his first home in 1983, continuing building as a side profession during his 30-year career in financial services. Carlton retired from banking in 2006 and relocated to the Tyler area to pursue his life-long desire to build homes as a full time profession. What distinguishes Carlton is his attention to detail and impeccable business ethics. His "down to earth" approach helps to reduce the stress associated with designing and building a new home. Carlton and his wife of 35 years, Deborah who is actively involved in their business, have three grown daughters. Carlton Edwards Builder & Designer, LLC was established in 2006 with a principle: To design and build unique, inspiring homes combining one-of-a-kind architectural design with energy efficient innovation for discerning clients who value exceptional quality and understated elegance. CEBD began out of a dissatisfaction with the monotonous designs that the new home industry was churning out. 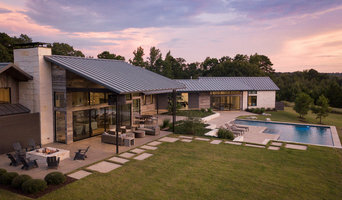 Frustrated with uninspired designs typically being produced by builders using stock plans, CEBD chose to combine design concepts from geographical areas they had previously built in, including Phoenix AZ, the Texas Hill Country and North East Texas. CEBD interior designs always maximize space, considering placement of furniture and practical aspects of daily living along with unique custom trim accents. Exterior designs combine brick, stone, stucco and cedar along with multiple steep roof lines to create “eye-catching” curb appeal. CEBD will also build custom homes from a client's plans they have had created/drawn by another designer/architect. We welcome the opportunity to build your dream home on your existing lot/property or we can assist you in your search for the right property that will compliment your home and lifestyle. With quality workmanship and attention to detail being a priority of CEBD, owners Carlton and Deborah Edwards are committed to personally managing each of CEBD’s construction projects. They spend time on each construction site daily, inspecting completed work for accuracy. Carlton & Deborah build each home as though it will be their personal residence instead of “just another project”. Sago Design Group is a landscape architectural design firm serving North and Central Texas. Our focus is to make the design process enjoyable and profitable for you as our client. Quality and excellence in design, client relationships and life is our passion. This way of thinking promotes a client-centered organization committed to originality, elegance and rich detail. Jeremy Greenhaw is the landscape architect and owner of Sago Design Group. Jeremy is a third-generation Texas Aggie and a registered landscape architect in Texas. For 15 years he has worked in the residential garden design-build field in East and Central Texas. Jeremy will personally work with you to get your ideas, desires, and needs clearly in mind. Together, from the start to the finish- he works to provide the inspiration and the tools to make your dreams a reality. One of the nation's leading log home companies since 1974. Featuring house logs made from dead standing timber (trees killed by natural causes), a material that is not only environmentally responsible, but which also offers superb quality! General residential remodeling some historic but all ages of homes. We do kitchens, baths, room additions, porches, decks, outdoor kitchens, exterior repairs, and interior and exterior painting. We have been in business in Tyler for 32 years. 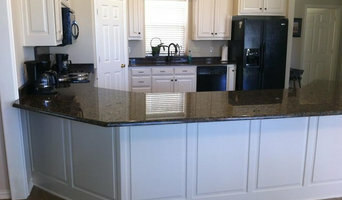 Contractor/builder/designer of custom homes and commercial buildings. 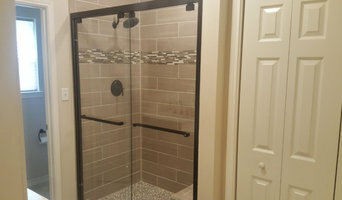 We specialize in providing you a complete building experience with help and assistance from design, decorating, and building choices until we hand you the key to your dream.